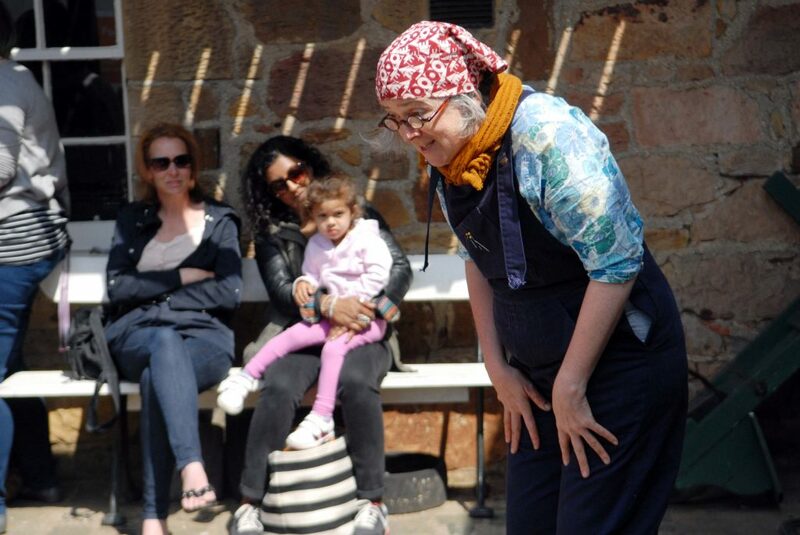 The Newhaven fishwives were famous for their cry and this summer I’ll be bartering like a fishwife – how much do you think a song and a story is worth? 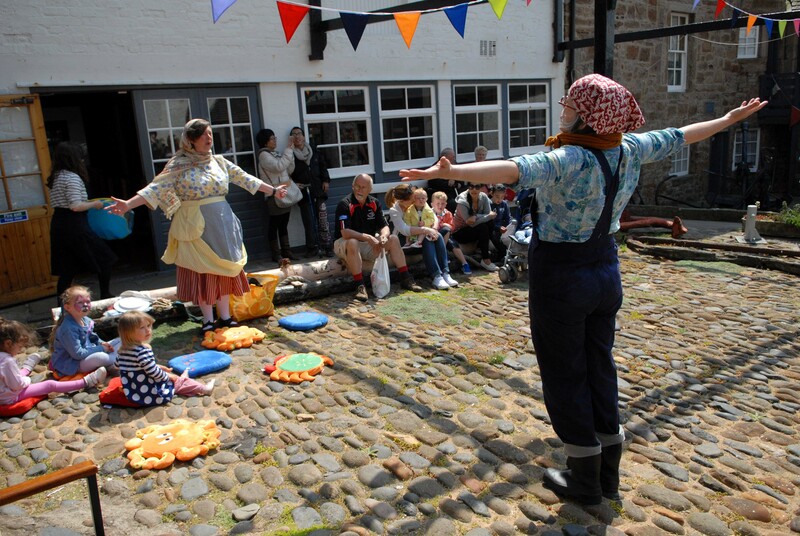 Following a sunny gala day at the Scottish Fisheries Museum in Anstruther in May I will be touring with my Creel o’ stories to the Museum of Edinburgh’s gorgeous courtyard on Tuesday’s and Thursdays throughout the Festival Fringe. My songs all have a fishy flavour and celebrate the history of the Newhaven Fishwives and the feisty Fisher Lassies that followed the herring. My stories also follow the fleet so come and hear all about pongy pirates and their stinky secret weapon and the magical tale of the tailor of Midlothian. The stories are all family friendly and if it’s raining we will be making some fishy wives and playing some fishy games. 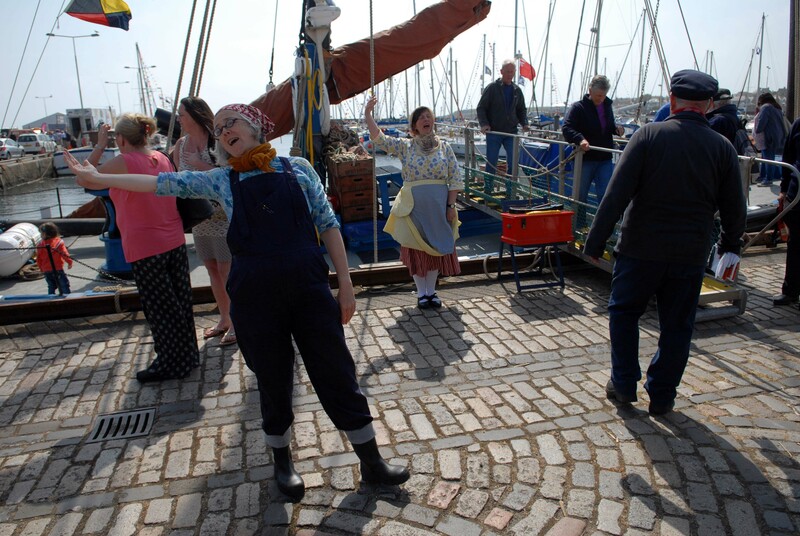 Jan Bee Brown performing at the open day of the Scottish Fisheries Museum in Anstruther, Fife on June 4, 2016.